There I was–walking through the store with McKenna. As we walked, I got a little slower, and a little slower, and a little slower. Why? Because I felt like my baby was about to fall out. Like–you know how you feel when you are about 36 weeks along and the baby is right there and getting ready to make an appearance? I literally started doing kegels to try to keep her in. Not only was the sensation a bit worrisome and annoying, but it was painful. The more I moved, the more it hurt. And you know what else? It was sad for me because I still had three months left to be pregnant! Three months of this! I wouldn’t survive! And I think there is a good chance some of my children wouldn’t either because I would be less capable of caring for them. Although perhaps Brayden would take over and fulfill his dreams of power and care for the girls. A couple of nights later I was visiting with a friend and she asked me how I was feeling. I told her of my plight. She then showed me a position to move the baby out of my pelvis. Oh yeah! She is a physical therapist. Why had I not thought to complain to her several days earlier? I went home and tried the position. Guess what! It took maybe two minutes and baby girl slid right up and out of my pelvis. I felt like a new woman! I was in the best mood the next day. It was like a rebirth (for me–baby hasn’t had an initial birth yet). Since that day, I have had to assume the position off and on because baby girl seems to like it down low in my pelvis. This, sadly, was an epiphany moment for me [sad it took me so long–not sad it happened at all]. I do not necessarily need to stay in pain. 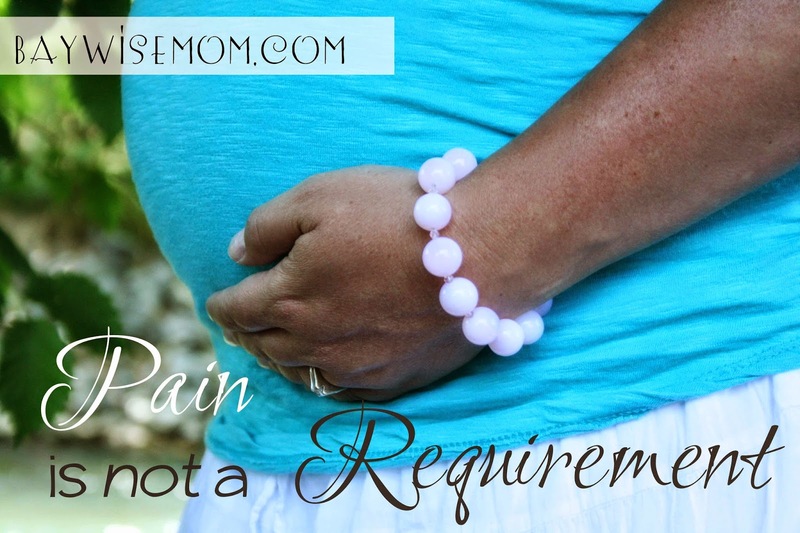 I have always accepted pain in previous pregnancies. I really only got lasting pain in the last month anyway so I just toughed it out. But apparently pain is not a requirement–at least not all pain and all the time. 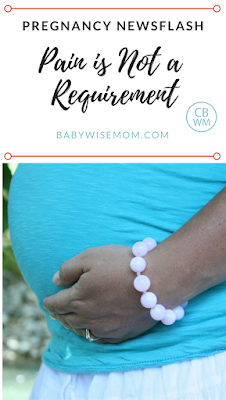 There will be some pain involved with pregnancy and birthing a child. With many pains, however, there are things you can do to alleviate! There are positions to be in, stretches to do, and exercises to do. Back hurt? Ligaments tender? Sciatic nerve troubling you (that is my latest–oh my I have never been in more pain–even during labor)? Baby in a weird position? There might be something you can do beyond just “hanging in there”! I had to spread the good news, because if it took me 5 pregnancies to figure this out, I know someone out there is going to read this and be eternally grateful. 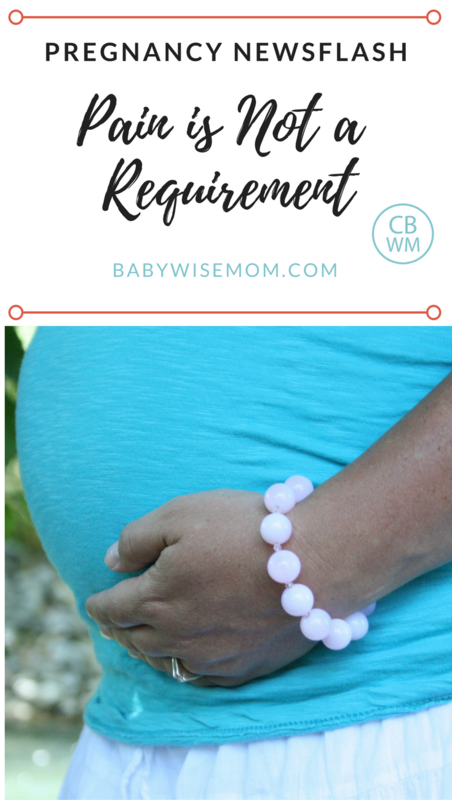 You can also read up on ways to ease pregnancy pain here. I agree! I happened to be going to a physical therapist when I found out I was pregnant and she immediately gave me exercises to counteract problems. With my first pregnancy I just figured it was part of the process. But my PT fixed (or taught me how to fix) so much pain which kept me active throughout. And I'm seeing her postpartum to prevent later problems. I think OBs should be referring more women! My doctor says it's indeed okay to have exercise despite being pregnant. Diet is also important and I came to know that aspartame is safe during pregnancy. So I have to balance my diet and do some exercise too. I am 21weeks pregnant and suffering from severe sciatic nerve pain. It's paralyzing – literally. I've tried all widely and not-so-widely recommended methods: heat patches, cold patches, creams, exercising, chiropractic, even acupuncture. All with no or very limited results. What bad is it's getting worse.i was wondering if anyone experienced pain like this and perhaps tried other methods, not mentioned above, to alleviate it.thank you so much! I think some people might find relief from acupuncture.